As with any trailer, you may have missed some of the more frenetic moments. We don’t blame you – there’s a heck of a lot going on in this trailer so it’s easy that some of the most interesting glimpses and sequences could have gotten lost amidst the blur of excitement. 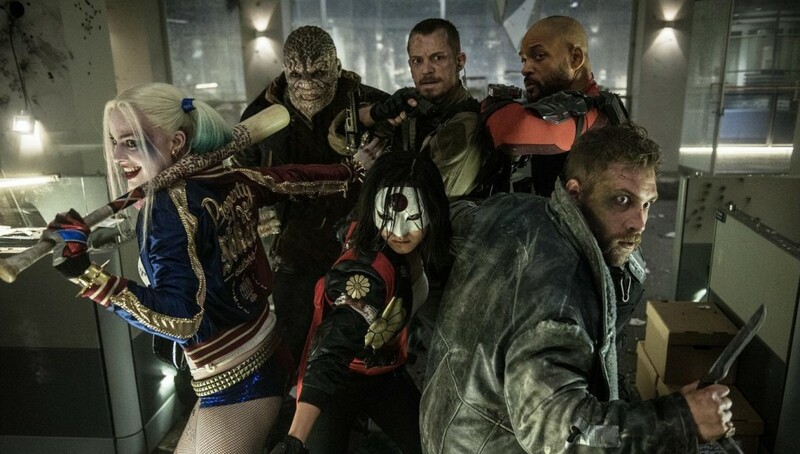 It looks like the Suicide Squad baddies will have to undergo some dodgy-looking surgery before they officially become Task Force X. It is a government thing, so they’re probably doing something shady like implanting explosives or tracking devices to make sure the squad don’t suddenly go AWOL. Some of the coolest parts of the trailer are in the most subtle details, like the shot seen above of Harley Quinn sitting in a prison cell, with her legs crossed, calmly drinking an espresso while reading what looks to be a romantic novel. This is rather clever, given that Quinn embarks on her own twisted romance with The Joker. Doesn’t Killer Croc’s entrance remind you a little of a certain cannibalistic villain from another movie? Of course it does. Also, Joel Kinnaman’s Rick Flagg mentions how Killer Croc eats people, so there’s the obvious connection right there. So yeah, this thing here looks like one of the ‘antagonists’ the squad will come up against. It appears just as Flagg says: “So here’s the deal; you’re going somewhere really bad.” The squad are seen creeping their way through a city in wreckage and flames, so we’re not exactly sure if our little sludge buddy had anything to do with it. Incubus is a character created by Enchantress and here it’s looking pretty CGI-tacular. 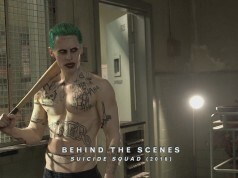 Of course you saw this shot of the Joker laughing maniacally in his humble abode, surrounded by an extraordinary array of weaponry. He may be a raging psychopath, but at least he’s an artist, too, arranging his collection of guns, knives and grenades into some kind of death circle. What you may not have noticed though is that he also has his business cards (Joker playing cards, of course) sitting neatly beside each other in the bottom right of the shot. Oh yeah, it’s also difficult not to mention the fact that he has a gun in his hand. Who or what exactly is he going to shoot? 7. The Orb from Marvel? There’s a few characters from the movie that haven’t actually been revealed yet so this mysterious, train-stopping entity could be anything really. It’s difficult to tell who though. It is interesting however, because this split-second moment is easily the most powerful display of power in the entire trailer, so perhaps it’s the big baddie. Whoever it is, we feel like he/she/it is going to be central to the narrative but Ayer and Warner Bros. are clearly intending to keep it mostly a secret. If you have any ideas as to who it could be, please let us know! Some people won’t be familiar with the comic so they won’t know exactly what the heck is going on here. Well, it’s basically the birth of Harley Quinn, with the Joker baptising her in a pool of toxic waste, thus completing the transformation from Dr Harleen Quinzel to the insane Harley Quinn we all know and love. 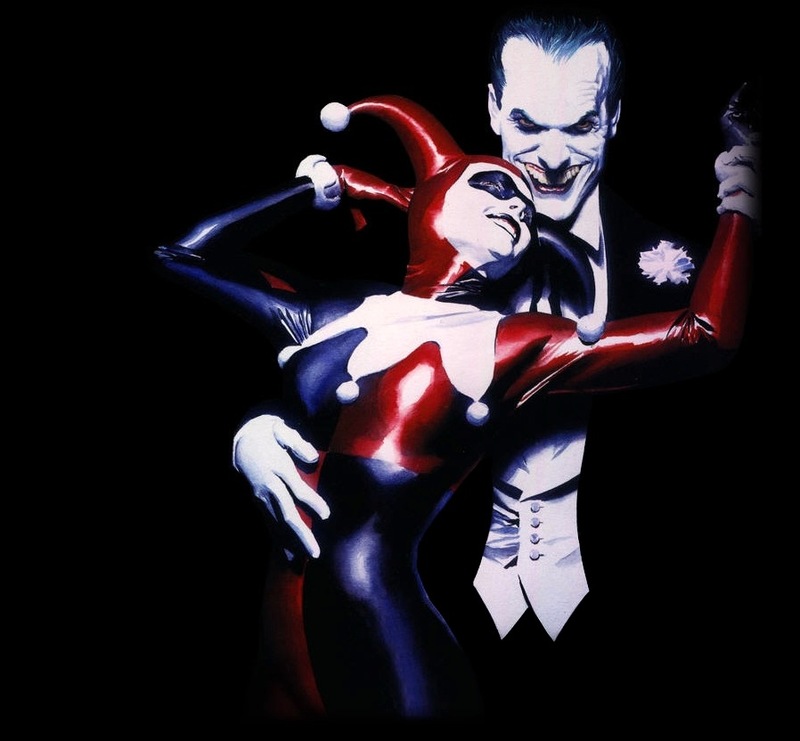 From previous promotional images, we know that Quinn and The Joker share several pre-squad scenes, including one of Quinzel conducting therapy on him, so this likely occurs somewhere towards the start, in a flashback showing how Quinn came to be. Things are getting seriously messy at this stage and the sludge monster seems to have terrifying tentacles of doom, attacking the squad down in some insalubrious subway surroundings. It’s not guaranteed, but the tentacles look devastating enough to wipe out any of the main characters, so this could be how one of the minor squad members dies. 12. Joker Celebrating…But Over What Exactly? We know from a previously leaked set video that, at one point, we will see The Joker and Harley being pursued by Ben Affleck’s Batman. We see the two villains roaring through the streets in Joker’s outlandish purple Lamborghini briefly towards the end of the trailer and there’s a second of him punching the air in delight. Is this because he has just taken down the Batman? It’s hard to tell, but one can only figure that he’d be celebrating in such a manner only if he has killed one of his main enemies. On the other hand, we see Harley crying for him to stop…could it be Deadshot!? Is Lex Luthor really behind all this? Is he controlling The Joker? Is Superman going to appear!? So many questions. This shot does closely resemble some Kryptonite, but we’re just speculating at this point. 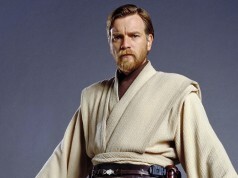 They are a bunch of psychopaths and murderous villains, let’s not forget, so it’s hardly surprising that some of the squad members would battle each other. Hey, if in-fighting affects The Avengers (Thor and Hulk, Cap and Iron Man), it can certainly threaten to derail a band of much darker, nastier characters. Who do you think would win in this fight? 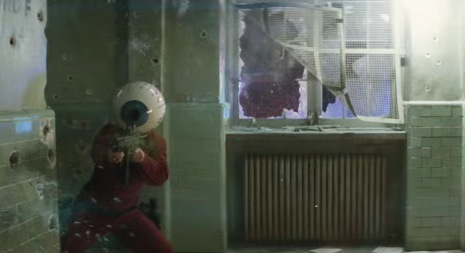 OK, you obviously didn’t miss this kaleidoscope nightmare towards the end because it was one of the most striking shots from the entire trailer. However, did you think about who or what it actually was? It definitely has a final-act feel to it and resembles the different colours of the emotional spectrum from Green Lantern, who was just confirmed by Geoff Johns as appearing in the Justice League film. Is this a teaser for what’s to come from Green Lantern? The trailer has so much going on and, while it’s added greatly to the excitement built from the first trailer released at last summer’s Comic-Con, there’s some burning questions that need answered. How exactly is the Joker involved? Is he working alongside Lex in some capacity? If so, has the green thing in the subway got something to do with it? Yes, there’s a lot of questions, but we’ll just have to wait until August 5 before they are answered. It’s also worth remembering that Batman v Superman: Dawn of Justice will be released before this, so it’s entirely possible that it might feature a post-credits scene leading into Suicide Squad and Justice League. Whatever way you look at it, it’s a truly exciting time to be a DC fan and 2016 is going to be one of the biggest years for superhero movies we’ve ever seen! 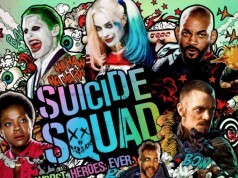 In the meantime, we recommend you embrace some more, in-depth knowledge of the Suicide Squad characters with our video below, delving into each of the main players’ backgrounds and origins. 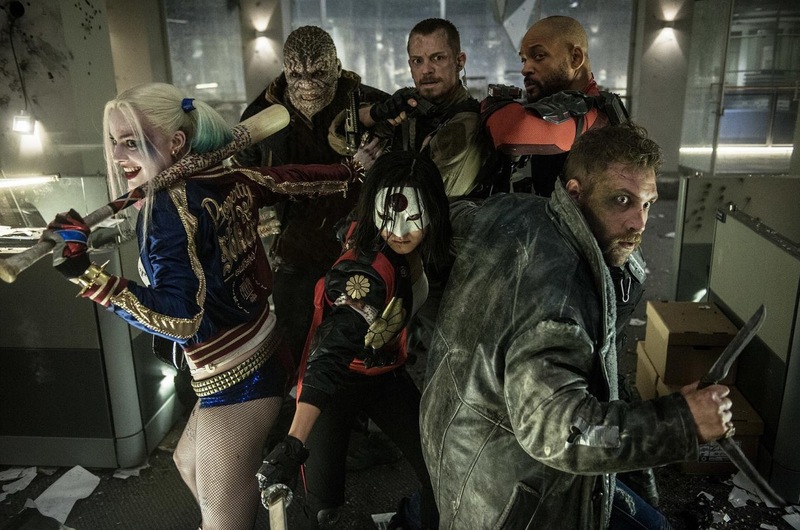 Also, remember to tell us what your favourite part of the new Suicide Squad trailer was! Next articleQuentin Tarantino confirms massive fan theory about his films. Well, kind of.